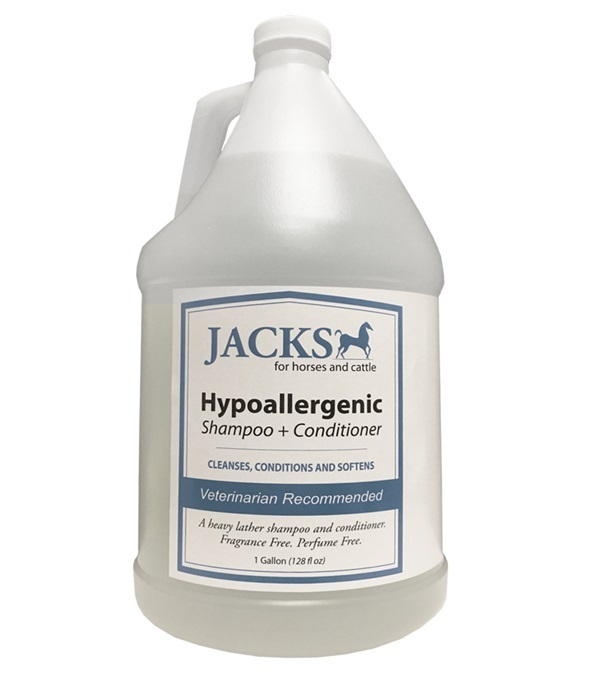 Jacks Hypoallergenic 2-in-1 Shampoo & Conditioner Gallon - Jacks Inc.
Jacks unique hypoallergenic, deep-cleaning shampoo and conditioner is formulated for every day use. 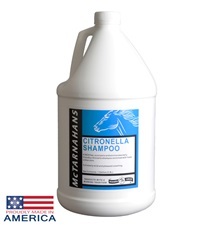 Powerful cleansing action and billowing lather quickly removes dirt and stains while the mild conditioner softens hair and reduces static electricity. Rinses easily and smells great. 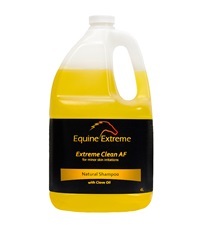 Veterinarian recommended for equine and show cattle. Jacks Hypoallergenic 2-in-l Shampoo & Conditioner 16 oz. 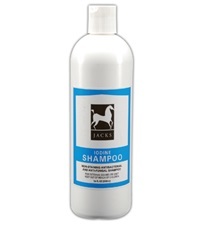 Jacks Hypoallergenic 2-in-1 Shampoo & Conditioner 32 oz. 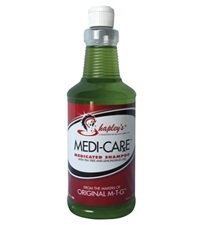 Jacks Iodine Shampoo 16 oz. 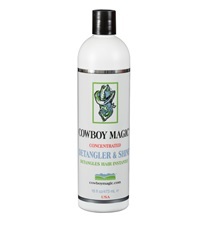 Cowboy Magic® Detangler & Shine™ 16 oz.